This morning, HRC unveiled a tribute to those lost in the horrific Orlando shooting. Before dawn, HRC began installing images of all 49 victims of Sunday's attack in its front windows, creating an 8-story composite image that carries the message "We Are Orlando." Additionally, HRC has put together a memorial with a wreath, flowers and a place for passers by to leave their thoughts in front of our building. The average age of the victims’ was 29. Almost every one of them was either Black or Latinx. They were someone's brother, father, sister, daughter, family and friend. They served in the military, worked at the local coffee shop, and brought joy to children's lives at theme parks. They were the people HRC fights for every single day. As we continue to mourn around the globe, our hearts, thoughts and prayers remain in Orlando. 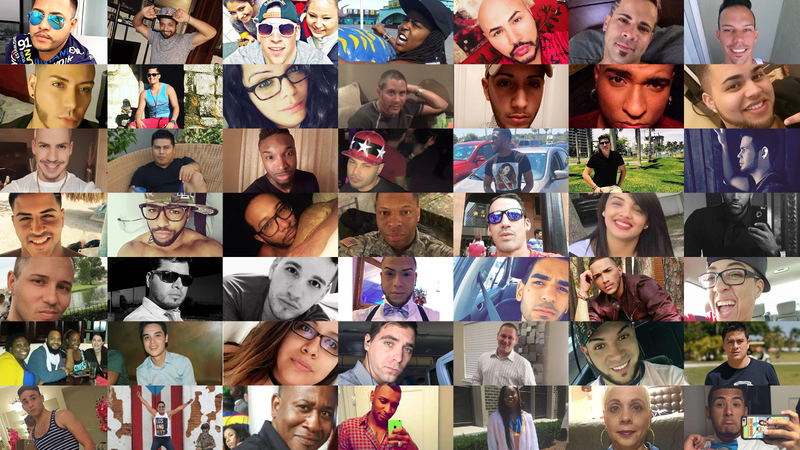 HRC has also created an Online Vigil for the victims and survivors of the tragic Orlando attack. Here, members of the LGBTQ community and allies can send a message of comfort, solidarity, or heartbreak so we can heal – together.